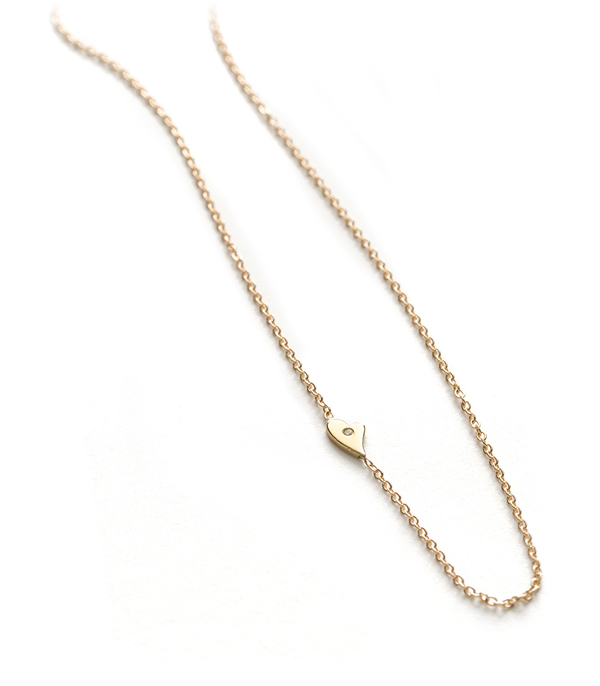 Oh so petite and sweet, this tiny golden heart necklace is one of the cutest layering necklaces (ever). 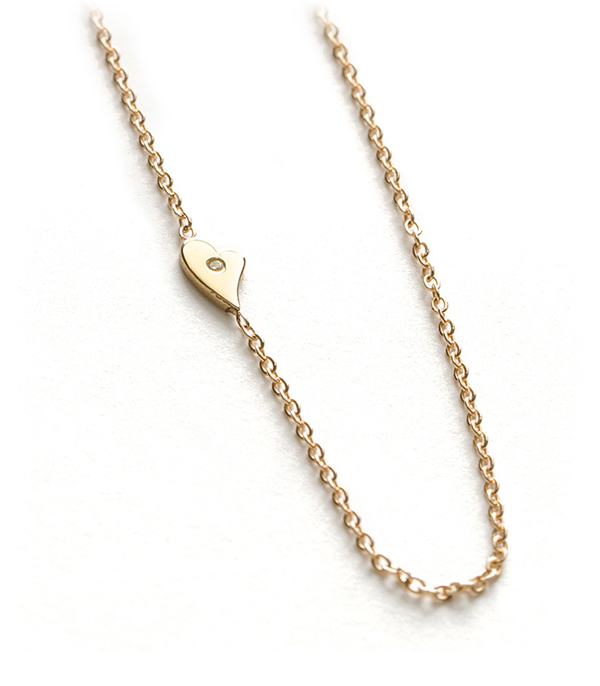 Set sideways on a shimmering gold chain this tiny golden charm is set with the littlest diamond to match. This charming necklace is a beautiful way to say "I like you!" We think this charming necklace makes a whimsical everyday piece that is easy to pair with your Sofia Kaman statement necklaces and adds just enough sparkle to your daily coffee run. Layer this necklace with other talismans to create a secret love letter to a best friend or cherished one.